Cost: $25, available online at www.cdaresort.com or by calling the resort business office, (208) 765-4000. There’s no denying Coeur d’Alene does Christmas with style. From the Santa cruises to the light display around the Coeur d’Alene Resort, it’s easy to get into the holiday spirit in the Lake City. Now how about a little music to go with that? 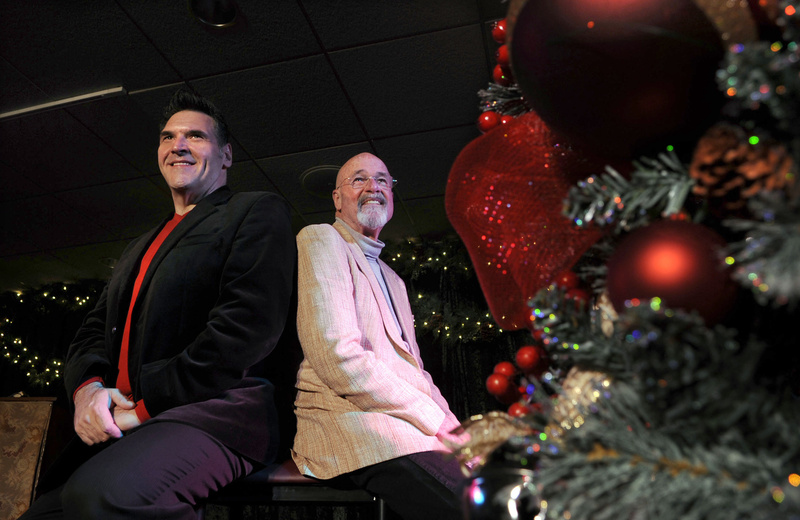 Mark Cotter, a New York cabaret singer and longtime actor with Coeur d’Alene Summer Theatre, will be performing a variety of Christmas tunes at the resort during “A Christmas Cabaret.” There will be holiday standards, sure – “Winter Wonderland,” “Rudolph the Red-Nosed Reindeer,” “O Holy Night” among them. But there also will be something new. Joining Cotter will be Jack Bannon, a veteran television and theater actor who will be augmenting the show with readings and stories. In addition to his cabaret work in New York City, Cotter has worked for several seasons on the American Queen, a riverboat on the Mississippi River. But this format is new to him, he said. Accompanying Cotter will be pianist Bonni Dichone and bass player Mark Peterson. The show is being produced by Ellen Travolta, Bannon’s wife and herself a veteran stage and screen actor. In previous years, the holiday show was produced by Coeur d’Alene Summer Theatre, but after CST was closed this summer, Travolta picked up production duties in conjunction with the resort. She’ll be there each night to introduce the show, but she doesn’t anticipate performing. She’s content to let Cotter and Bannon do the work. “I think the two of them together are going to be fun because they play off each other well,” Travolta said. While the show is appropriate for all ages, Cotter thinks it’s a show best seen with a date – a good excuse to hire a babysitter.